2278 runs from 45 matches, average of 56.95, SR of 88.98, 6 centuries, 15 fifties.Tendulkar has more runs in World Cups than most players have in their entire careers. He with Javed Miandad has played in the most number of World Cups six and many would agree that his defining knock in the premier tournament was the 2003 75 ball 98 against Pakistan at Centurion. 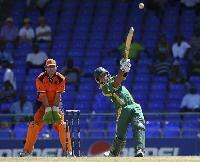 The maestro helped India chase down a biggish. 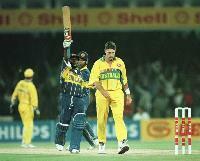 1064 runs from 35 matches, 145 highest, 36.6 average, 86 SR, 2 hundreds and 6 fifties.The Lankan middle order batsmans peak coincided with the 1996 final in which he put Australia to the sword with a classy , unbeaten 107. The century took Lanka to their first World Cup triumph and de Silva won over an island with his impeccable batsmanship. 1067 runs from 25 matches, 143 highest, 56 average, 87 SR, 2 hundreds and 8 fifties.Famous for dropping the World Cup when he prematurely celebrated catching Steve Waugh in the 1999 event, Gibbs wrote himself into history when he smashed six sixes in an over, off Daan van Bunge in South Africas 221 run win over Holland in 2007. 1075 runs in 33 matches, 134 highest, 35.83 average, 76.89 SR, 2 hundreds and 5 fifties.The Kiwis cerebral skipper was no slouch with the bat and is his countrys leading WC batsman in terms of runs scored. 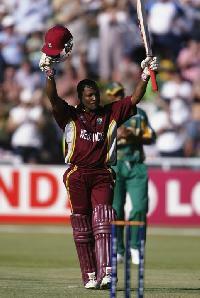 His stand out knock came in 2003 against South Africa in a must win game. 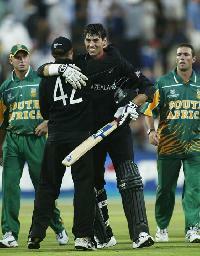 Needing 307 for victory, Fleming master minded the chase with a brilliant, unbeaten 134, also his highest ODI score. 1085 runs from 31 matches, 149 highest, 36 average, 98 SR, 1 hundred and 8 fifties.The man who reinvented the role of the wicket keeperbatsman in Test cricket was no slouch in the shorter format. Apart from being safe behind the stumps, Gilchrist crowned his 2007 World Cup by scoring a chance less century in the final against Sri Lanka, his only ton in the premier event. The 104 ball 149 was enough to put the chase. 1148 runs from 36 matches, 128* highest, 46 average, 74 SR, 1 hundred and 9 fifties.How much of an impact Kallis absence has on South Africas 2015 World Cup fortunes remains to be seen. His influence in previous World Cups, however, has been indisputable. His only World Cup century came in 2007 in West Indies when he massacred minnows Holland with a 109 ball 128, setting up a gargantuan win for his team. 1165 runs from 38 matches, 120 highest, 34 average, 90 SR, 3 hundreds and 6 fifties.Although he did not score a century in Sri Lankas victorious 1996 campaign, Jayasuriya, along with the pocket powerhouse Romesh Kaluwitharana, pretty much reinvented the art of opening the batting in ODIs. The southpaws 221 runs at an average of 36 may look nothing special, until one heeds his strike rate an enormously healthy. 1225 runs from 34 matches, 116 highest, 42 average, 86 SR, 2 hundreds and 7 half centuries.Lara, who was making a comeback, handed hosts South Africa a shock defeat In the opening game of the 2003 World Cup. His 116 a knock of distinct, disparate halves included a glorious six over long off off Allan Donald and helped the Caribbeans to a challenging total from a totally helpless position. 1743 runs from 46 matches, 140 highest, 45.86 SR, 5 centuries and 6 fifties.India ran into run machine Ricky Ponting in the 2003 final when he eviscerated Sourav Gangulys bowlers with a 121 ball 140, inclusive of eight towering sixes. India were set a massive target of 360 to lift the Cup, and with an ask such as this in a game as big as this one the match was already all but over.